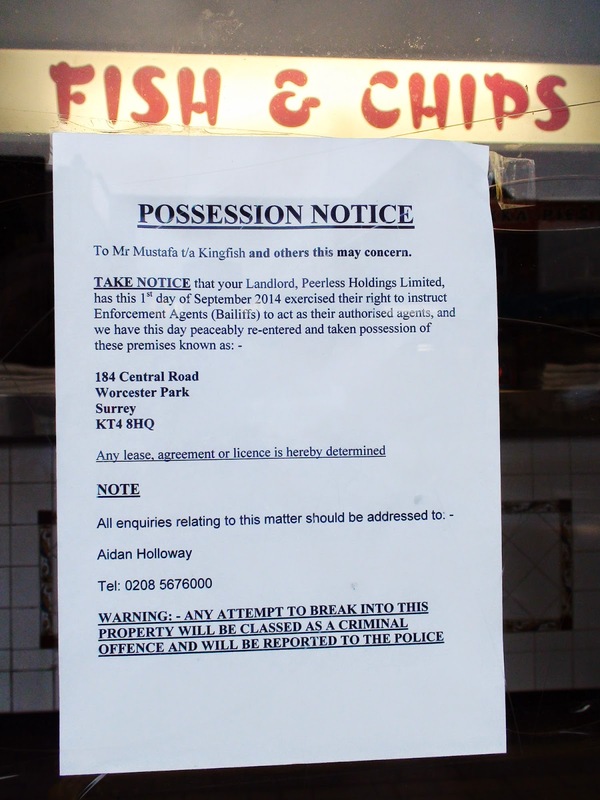 If you managed to secure yourself a fish supper from Kingfish this last week, be glad as you were one of the last few who did. Unfortunately the bailiffs have today taken possession of this Worcester Park landmark so from tonight the restaurant, complete with tables set up ready for dining customers, lies dark, empty and closed. I spoke to two ladies outside the shop who were shocked to find it closed as they had planed to buy their dinner from there. 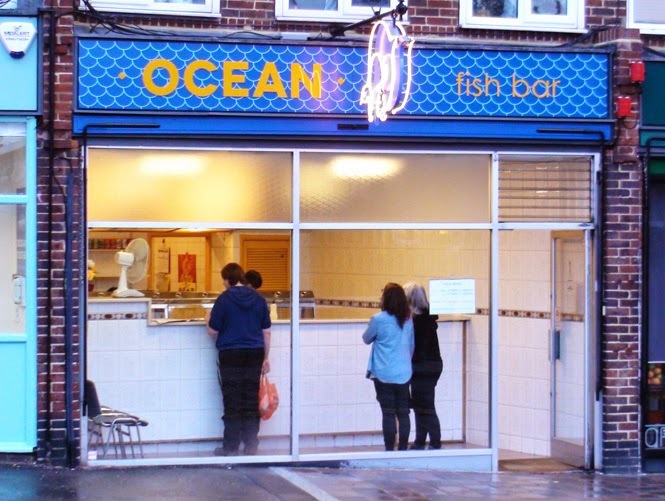 They instead had to make the trek up to Ocean fish bar at the top of the hill. For others planning to enjoy fish and chips tonight or in the near future, please remember that unfortunately the local choices no longer include Kingfish. 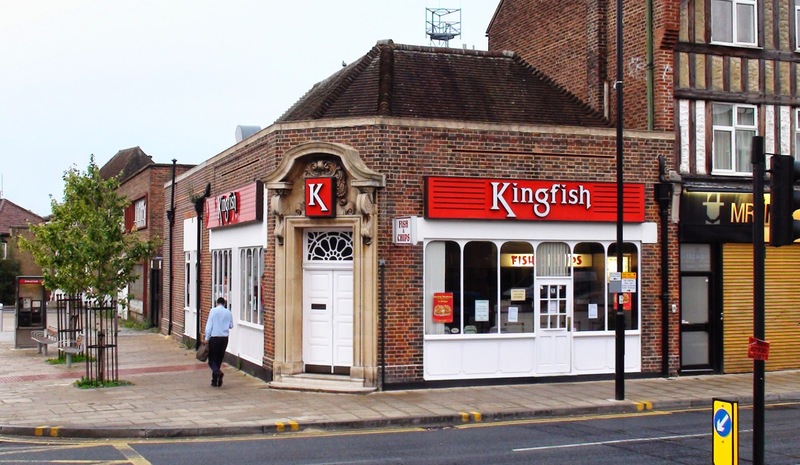 Whatever happened the blog wishes the owners and staff of Kingfish well.